Simple easy to install electronic logging device hardware and service. Turn key solution ensures you have everything you need directly from MasTrack. 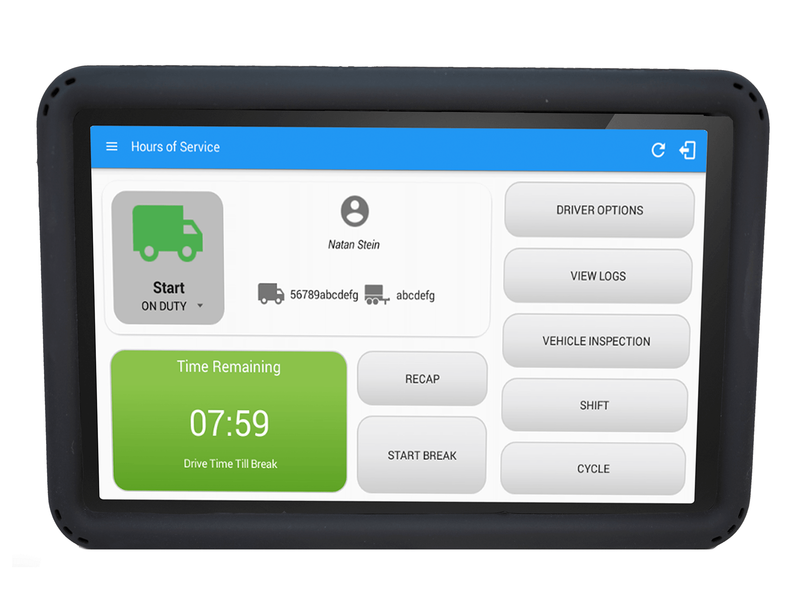 MasTrack HOS - ELD is a powerful but easy to use Android powered service certified with the US Department of Transportation (DOT), Federal Motor Carrier Safety Administration (FMCSA) regulations for electronic logbooks and vehicle inspections. 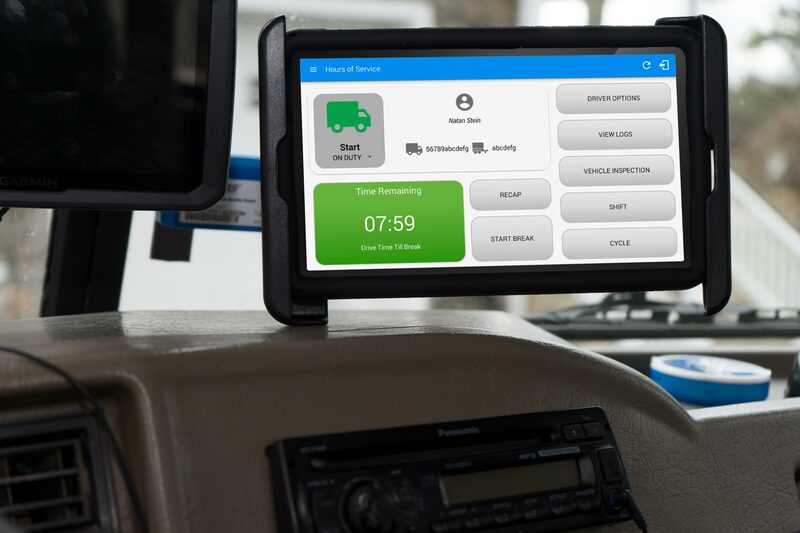 Regulations for electronic driving and vehicle inspection logs (eld mandate) have become mandatory to ensure the veracity of driver input and ensured compliance with regulations. MasTrack eLog - ELD tracking device is certified and compliant with all federal and state regulations as well as regulations for Canada and Mexico. "MasTrack made compliance easy. They took care of everything. I get one bill for the service and avoided the headache of dealing with multiple vendors to stay compliant. I even have the added bonus of seeing where my trucks are at any moment. I highly recommend them to anyone looking for an easy solution that works right out of the box." 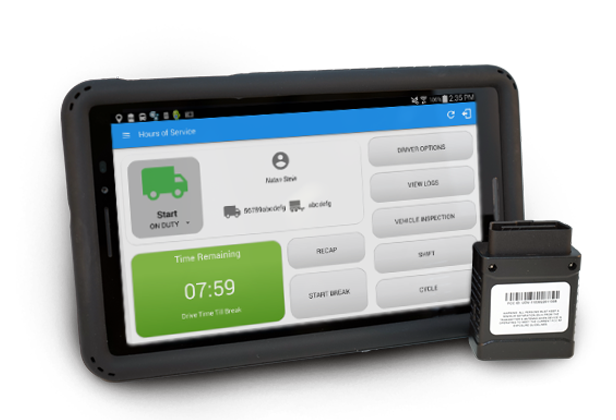 Simple ELD device install means anyone can plug the devices in and get started. No need for costly professional installs. IFTA reporting will simplify even more paper work. Freeing up your drivers and staff for more important tasks. We take care of all the hard work. As a 100% certified solution we cover all rules and regulations including the individual state regulations. The top level includes everything you need to be compliant including wireless service. Works "right out of the box". Saving you time and money. Adding GPS tracking allows you locate and monitor your fleet at a glance. Save time and money using the intuitive portal. Monitor against abuse, misuse and excessive idling. Customers average up to a 30% fuel savings. MasTrack believes in providing a simple easy to use product at an affordable rate. As a veteran in the GPS and AVL market we have learned our customers want a solution that is simple and works. Leveraging our existing infrastructure we can offer a best in class complete package saving you money year after year. 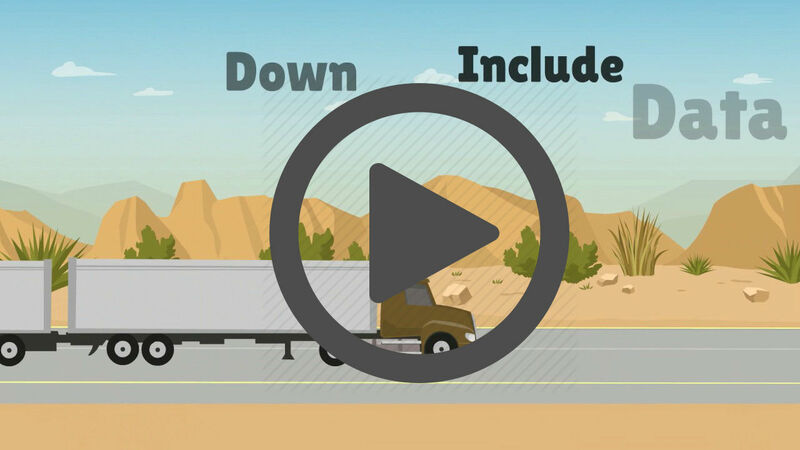 The only thing you need to purchase from MasTrack is a service plan and the ELD device. You can optionaly purchase a tablet from MasTrack or provide your own Android device. What are the hidden fees? There are no hidden fees. The monthly service fee covers everthing you need. It includes the vehicle and one driver. Note: If you use your own Android device you may be subject to any data charges you use by your wireless network provider. What are the Android requirements? The Android app requires a minimum of Android 4.4.2. We recommend using Android 6.0 or greater for the maximum compatibility. Is this solution DOT FMCSA certified? 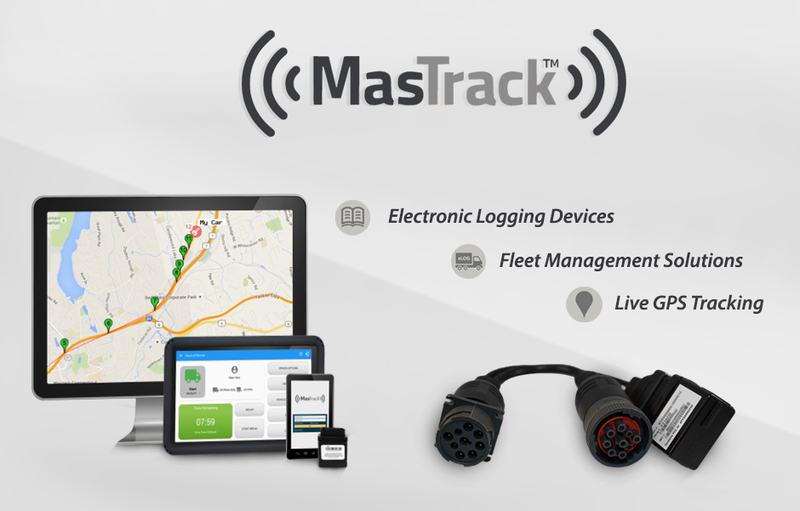 Yes the MasTrack solution is certified and compliant with all the DOT FMCSA requirements. Does this system handle federal rules and exceptions ? Yes the MasTrack solution has all state and federal rules and exceptions. We have also included everything required for Canada and Mexico. Android 6.1 tablet certified and ready to use on the AT&T network. Mastrack's custom solution provides all required apps pre-installed and synced. Use this tablet along with premium service for a complete solution or purchase your wireless service separately. This unit has a large 8" screen and is perfect for in cab use. The included rugged silicone case provides extra protection while on the job. This unit is required for every vehicle. 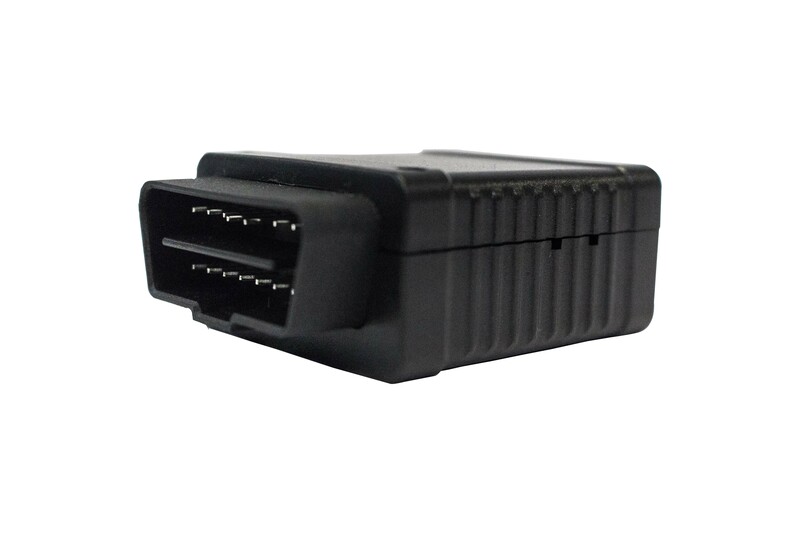 It connects directly to the ECU and transmits back the the MasTrack app. 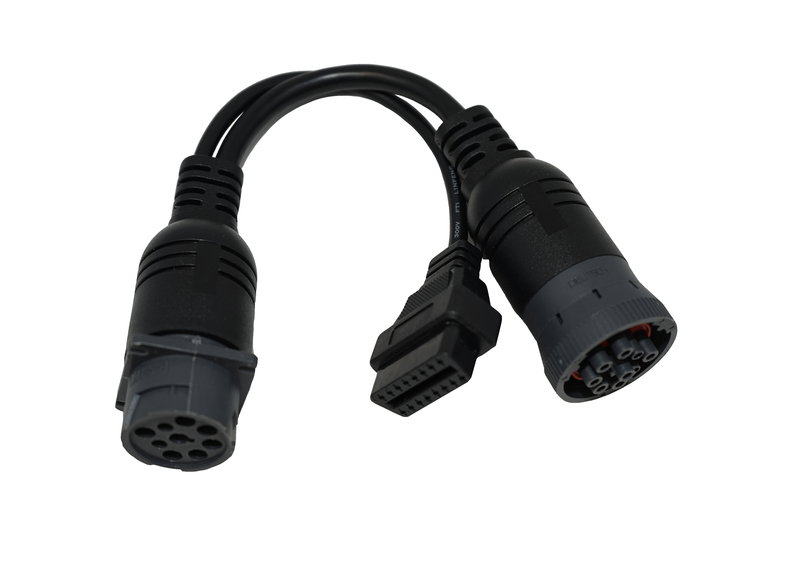 Included with the units is a J1939 or J1708 Y cable to ensure you never need to unplug the device. Compatible with both heavy and light duty vehicles. This unit is required for every vehicle. It connects directly to the ECU and transmits back the the MasTrack app. Compatible with both heavy and light duty vehicles. The Y cable ensures you never need to unplug the ELD Device. Three ends replace your existing round port with a working port allowing you to keep the ELD device plugged in at all times. Two models available for J1939 & J1708 compatable vehicles.